Bernie Sanders acknowledged on Wednesday the improbability that he’ll leave the Democratic National Convention in July as the party’s presidential nominee. 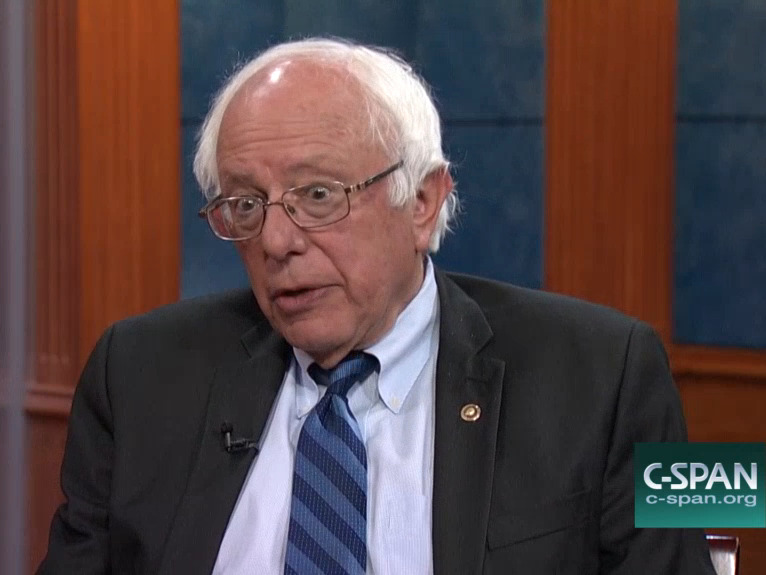 The Vermont senator and presidential hopeful, who fell short in the delegate count to presumptive Democratic nominee Hillary Clinton, was asked during a C-SPAN interview if he would be giving a speech during the convention. “Well, it is hard to say. It doesn’t appear that I’m going to be the nominee, so I won’t be determining the scope of the convention,” he said. He promised that the Democratic Party platform presented at the convention will be “by far the most progressive platform in the history” of the party. The senator also called out the “corporate media” for supposedly focusing on personalities instead of zeroing in on issues. And he mocked what he considers to be typical of television news conversations about the election.